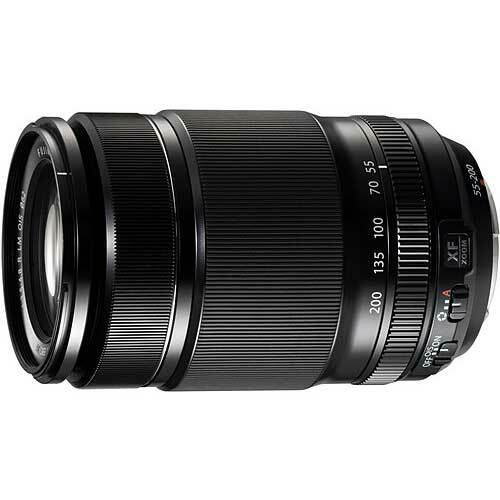 Lens Description: The XF 55-200mm f/3.5-4.8 R LM OIS Lens from Fujifilm is a telephoto zoom lens for the Fujifilm X-series mirrorless cameras. It offers a 35mm focal length equivalency of 84-305mm, providing portrait length to super telephoto capabilities. 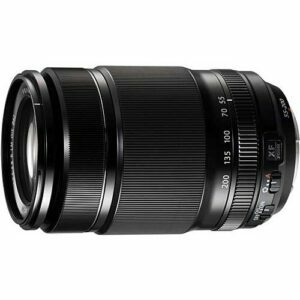 The minimum focus distance is 3.6\' at all focal lengths, enabling telephoto close-ups. With OIS Image Stabilization, it provides up to 4.5 stops of shake correction for sharp imaging in low light situations or when utilizing its longest focal lengths. Two linear motors facilitate high speed auto focus (0.28 seconds) as well as smooth and quiet operation, which is important for stability at long focal lengths, and when shooting video.